It’s no secret that gambling is a big deal in Asia, but this is just plain nuts. Fans of gambling and Nutella, the hazelnut and cocoa spread revered around the world, are in for a real treat in Osaka, Japan, as the company have announced plans to set up the ‘Nutella Morning Slot’. The element of surprise is a big part of what makes gambling fun, and that’s precisely what Ferrero – Nutella’s parent company – have gone for, as users of the slot machine are always guaranteed a return, but have little idea what that might be! The "giant" slot machine, which will free to use over a two-day promotional period from 23rd to 25th of November, will produce one of 20 variations of the much-loved Nutella-on-toast combination, with different types of bread and a wide range of toppings in the offing. 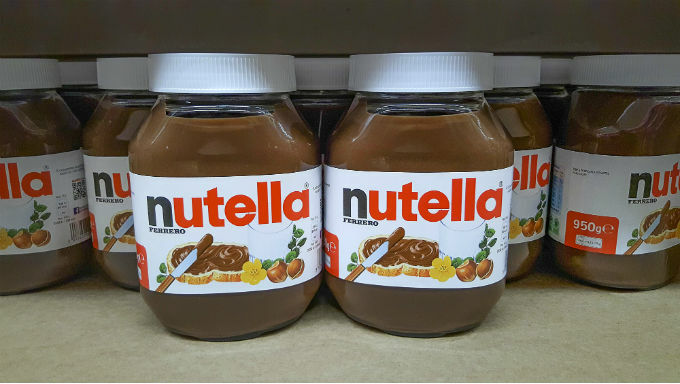 Toppings range from chopped nuts, cherries, strawberries, blueberries, sliced banana and more, but the punter has no control over the end product, with Nutella’s aim seemingly to encourage their fans to discover new flavoursome combinations with which to enjoy the product. Billed as a free tasting event, Nutella revealed the plans for the “oversized” machine in a creative Instagram post, cleverly depicting a slot machine using a slice of toast and various toppings and sides. Although primarily a breakfast snack machine, the Nutella Morning Slot will be open from 10am to 8pm for the three days at the Grand Front Osaka mall. So if you’re a fan of Nutella, it’s pretty much impossible to lose on this particular slot machine! Chances are, you’re not based in Osaka, but you don’t need to be in order to enjoy some free spins through online casino slots. Slot machines are very popular at both land-based casinos and online casinos too. In land-based casinos, they generally operate through users dropping a coin or valid token into a machine and subsequently pulling a handle or pushing a button to produce a random outcome, which may or may not gain a return for the punter. Online slots effectively work in the same manner albeit in digital form, but they provide more ways to play, more ways to win and boast a greater chance of winning, research shows. As such, online slots such as Starburst are by some distance the the most popular type of online casino games in the world, offering significantly more slot game titles in comparison to other online gaming options. For advice on how to succeed at online slot machines, check out Gambling.com’s comprehensive strategy guide to selecting a machine and managing your money.